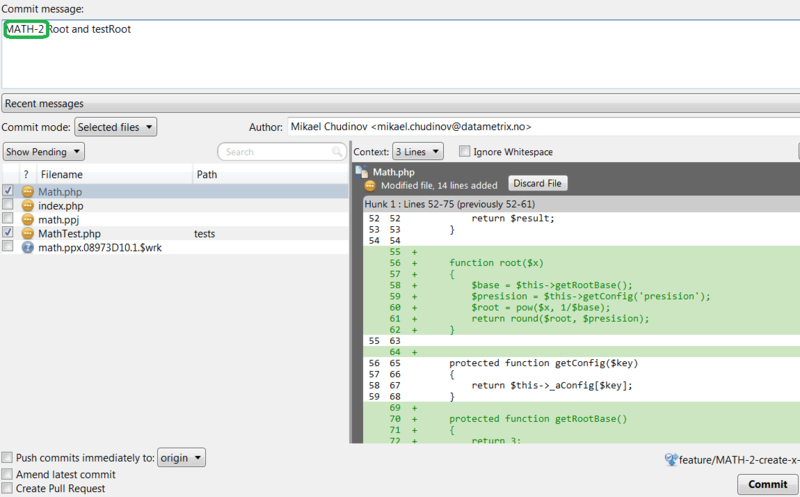 In the Development section of the new issue click one the Create Branch link. You will be redirected to Stash. Choose right repository, choose right branch type depends on your branching name convention and issue type (feature, bugfix, hotfix etc), choose parent branch, leave new branch name as it is. 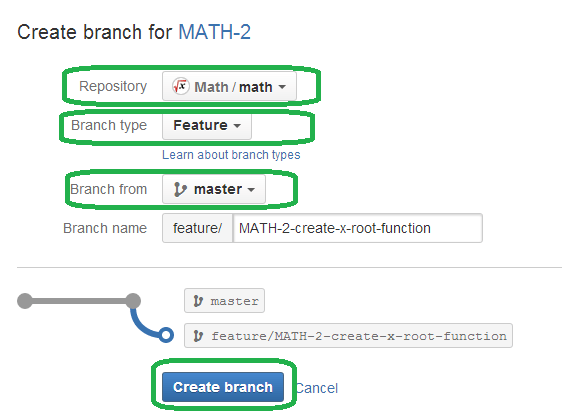 Fetch changes from origin and checkout the new issue-branch. 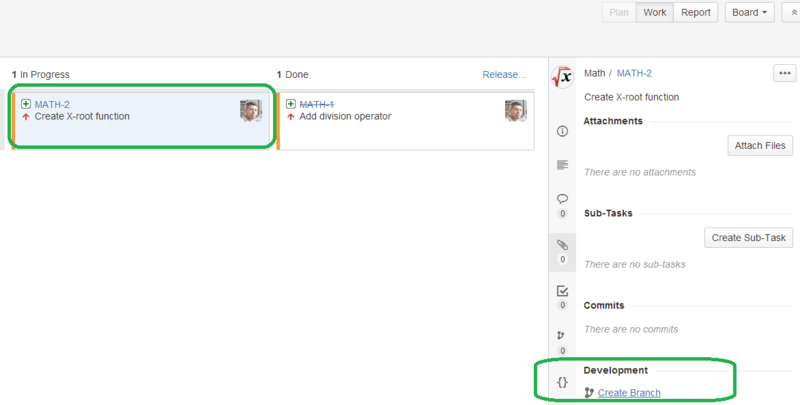 Update time tracking in JIRA: remaining time and estimated time if necessary. Always add an issue key in commit message! Better in the beginning of the message. Otherwise changes sets will not be connected to the issue. 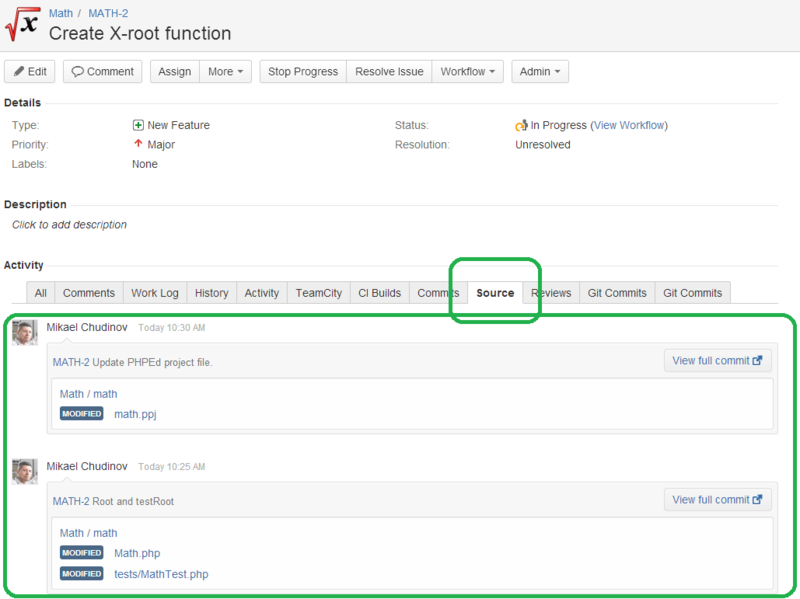 Watch your commits in JIRA in the Source tab in the issue. 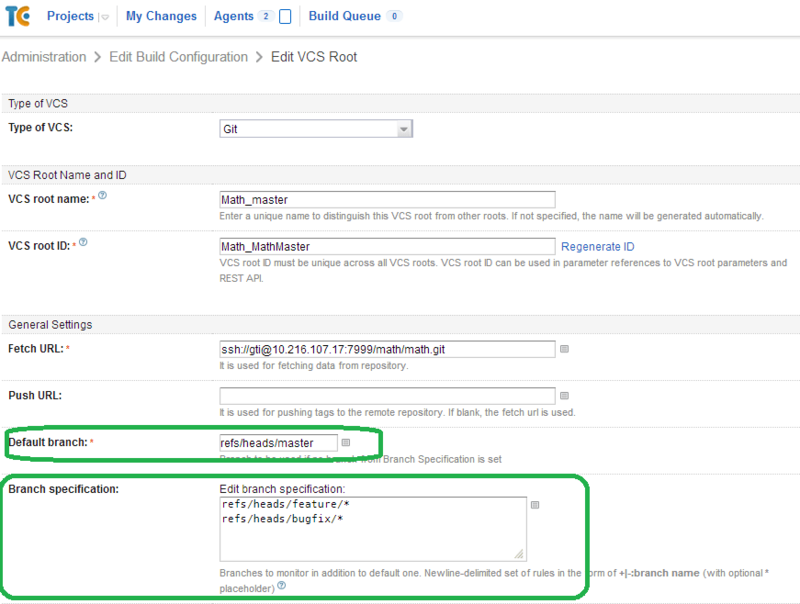 To enable this feature Branch specification must be configured in VCS root configuration. Read TeamCity documentation for more details. If the issue-build was successful the merge changes with development branch and push. 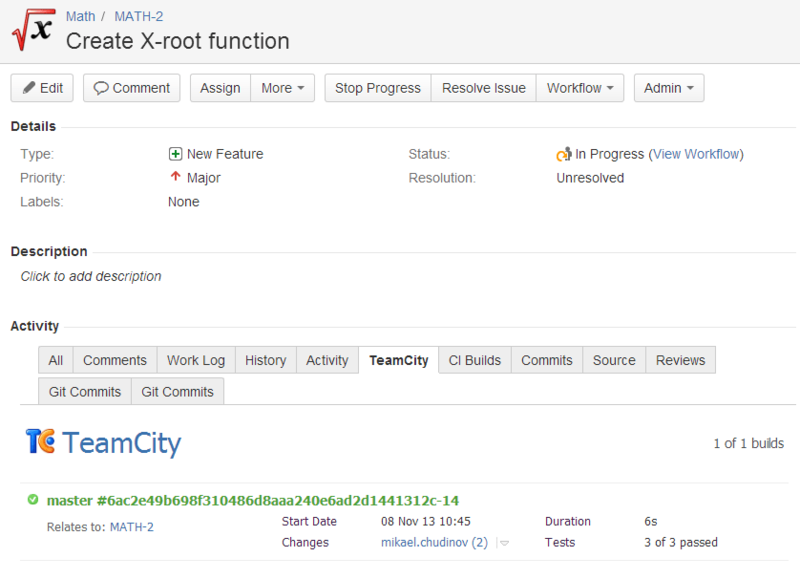 TeamCity will build developmetn branch and now build result will be visible in JIRA in TeamCity tab. Set issue status to Resolved.